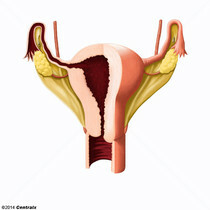 The smooth muscle coat of the uterus, which forms the main mass of the organ. 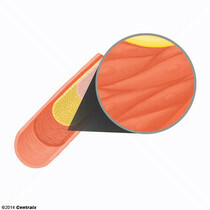 The nonstriated, involuntary muscle tissue of blood vessels. 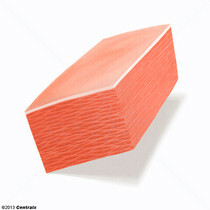 The middle coat of blood vessel walls, composed principally of thin, cylindrical, smooth muscle cells and elastic tissue. 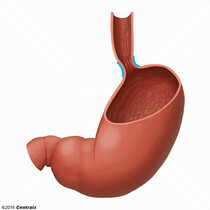 It accounts for the bulk of the wall of most arteries. 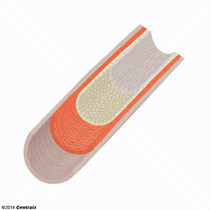 The smooth muscle cells are arranged in circular layers around the vessel, and the thickness of the coat varies with the size of the vessel.